This manual provides political party members and leaders with the means to implement concrete strategies for achieving equality for women within party organizations and to access positions of power and representation. 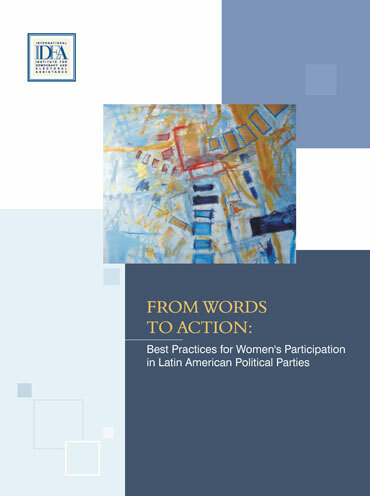 More than a year of research and fieldwork in 18 Latin American countries is condensed in this publication, which describe 95 good practices implemented by party organizations. It also analyses the progress and the challenges still facing women in politics, both in the region and in each of the countries studied. The production of an English version was undertaken by UNDP and was made possible through the generous support of the United Nation’s Development Programmes Gender Team, in the Bureau for Development Policy.